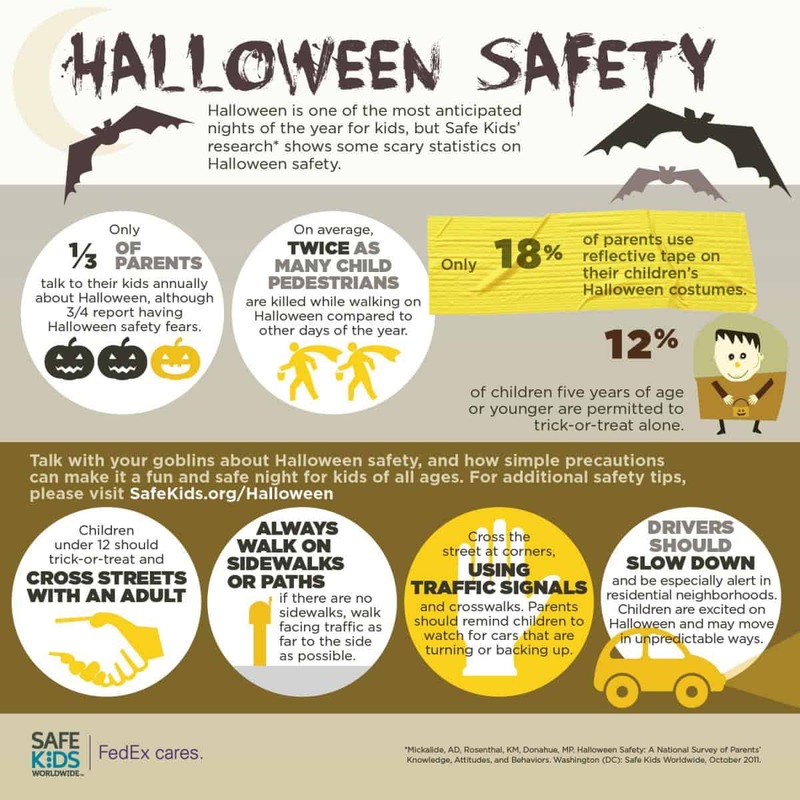 Did you know that twice as many pedestrian kids are killed on Halloween compared to any other day of the year? A dismal and disheartening fact from Safe Kids Worldwide, a nonprofit organization working to help families and communities keep kids safe from injuries. But parents can be vigilant and take action to help prevent these Halloween accidents from happening, keeping children safe while they enjoy their night trick-or-treating. 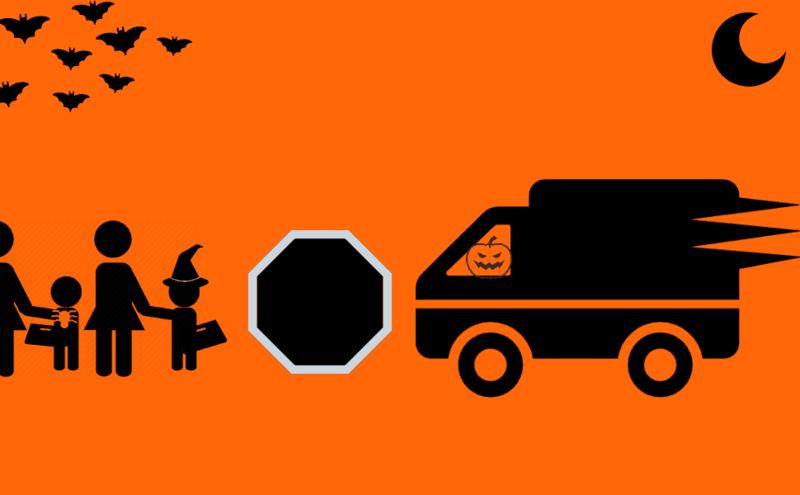 Here are 5 super simple tips by Chevrolet’s Safety Engineer Suzanne Johansson we can all keep in mind when driving during Halloween night; plus, a handy infographic below all parents should read. Kids are excited, full of sugar and potentially wearing shoes that could cause tripping. Slow down and be prepared to stop for Owlette, Cat Boy and Gekko as they cross the street or chase a piece of their costume in the wind. It’s best to never turn off safety alerts, but if you have, turn them back on. Things such as rear-view or forward-facing cameras, collision alert sensors and Surround Vision cameras give drivers a better view of what or who is near their vehicles while they’re backing up or just driving down the street. If you are concerned you’ll be tempted to use your phone while driving, eliminate the temptation and distraction by taking advantage of vehicle storages cubbies that you cannot access while driving. While it’s tempting to make your fellow motorists laugh, it’s a bad idea to drive while wearing anything that could potentially impede your vision like masks, goggles or silly glasses. Place them in the trunk or a convenient storage space until you reach your destination. Whether you’re rolling slowly down the street while your kiddos roam the sidewalk or transporting a group of superheroes door to door, be a stickler for safety and buckle up every time you’re in motion.